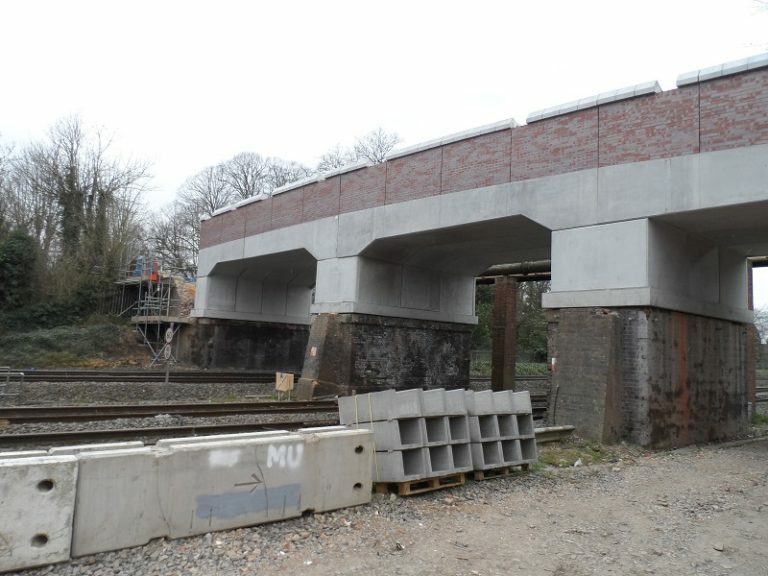 Originally designed as a “Conarch System” we met with Hochtief and Hyder and proposed the use of our own portal frame system which we had been using for several years. 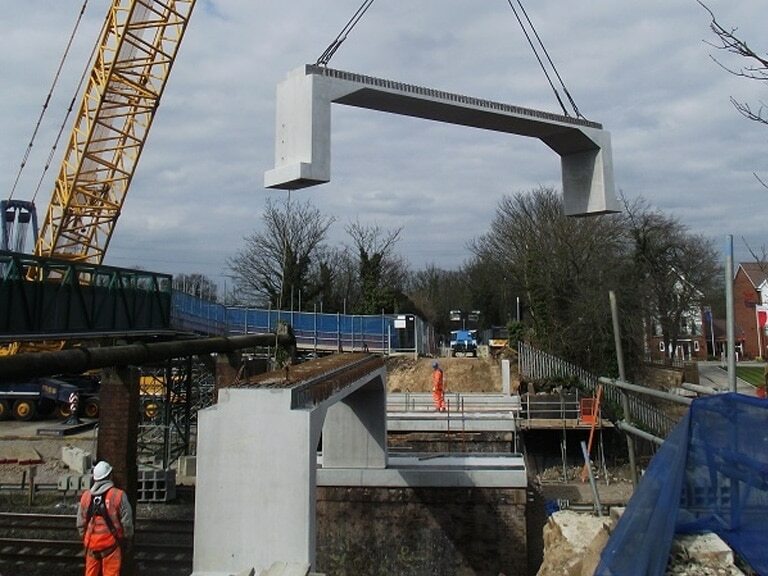 By switching to the portal frame we reduced the weights which reduced craneage, we also reduced the risk element by providing them with much more straight forward construction technique. We worked very closely with Hyder in the design and detail phase and we got a revised design submitted and approved by the client Network Rail-Crossrail JV. 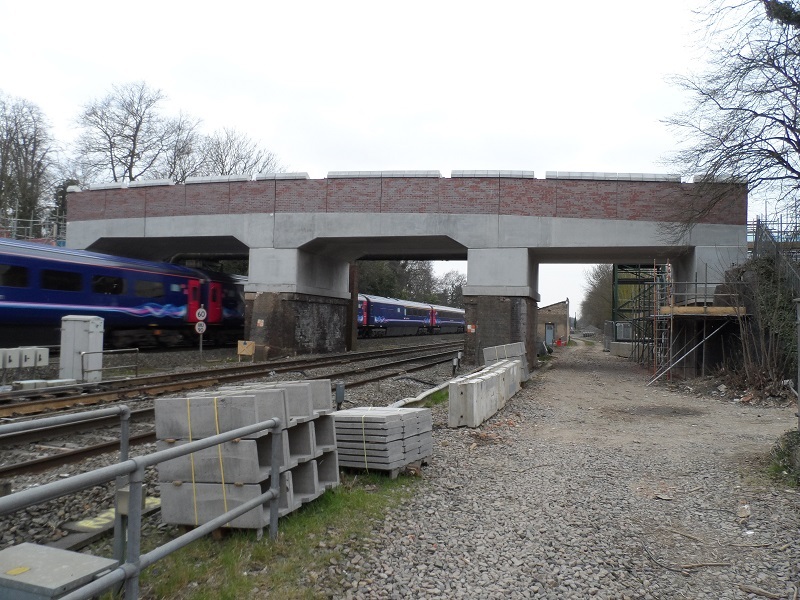 At first the project consisted of a twin cell portal but after demolition of the bridge the job it had to be changed to a triple cell. 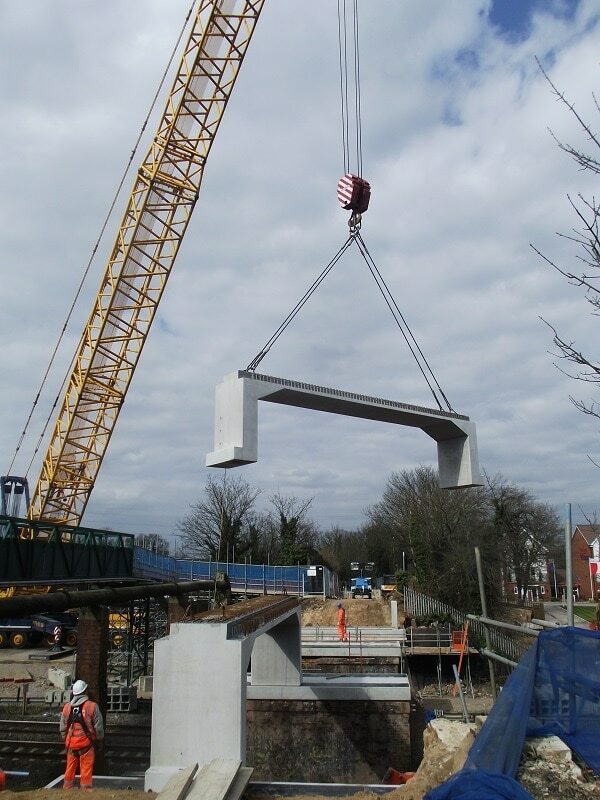 We manufactured a total of 10 portal frames ranging from 6.0 metres to 10.0 metres internal span. 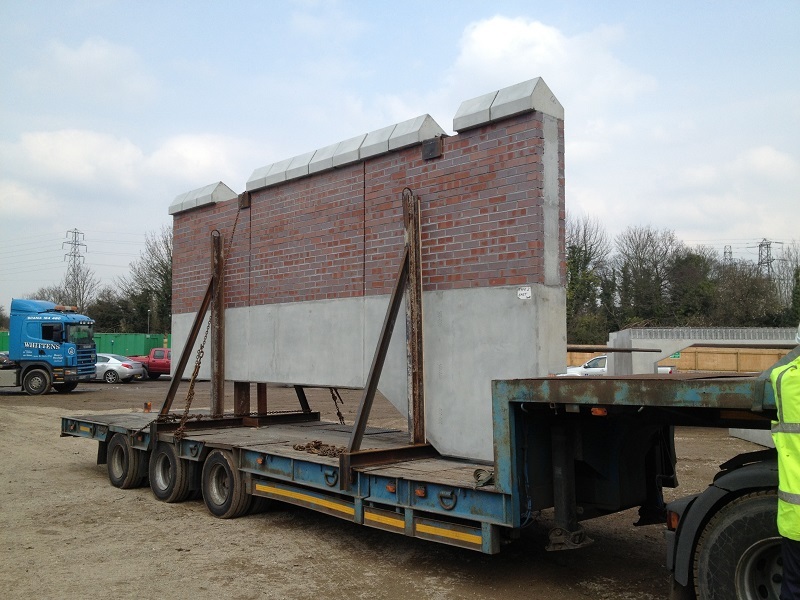 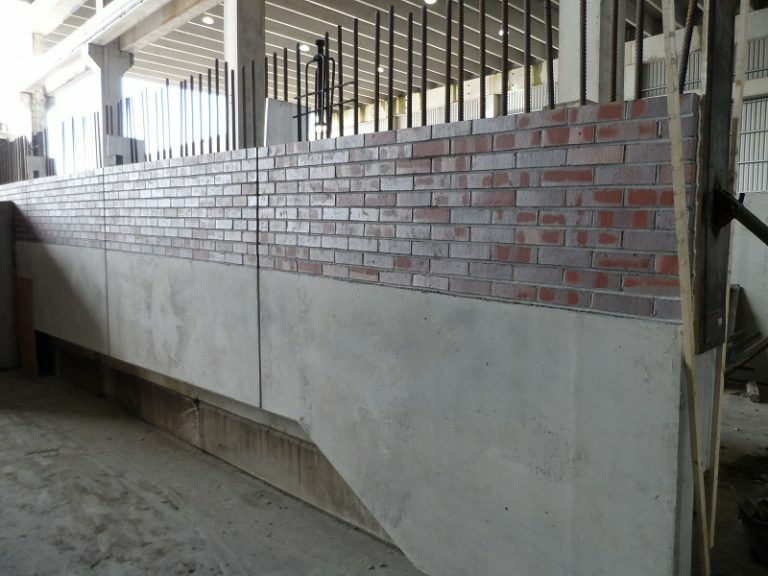 We also provided bespoke red brick faced parapet panels on a curve , fascia panels, cill beams and run on slabs. 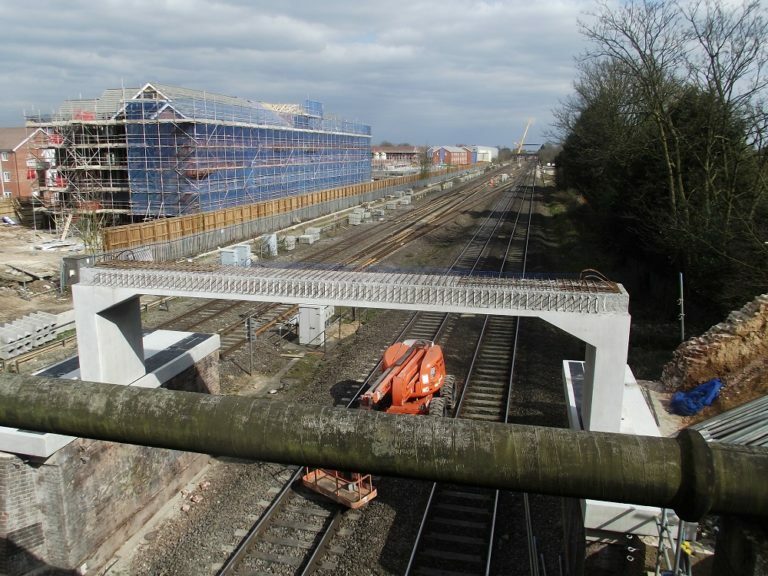 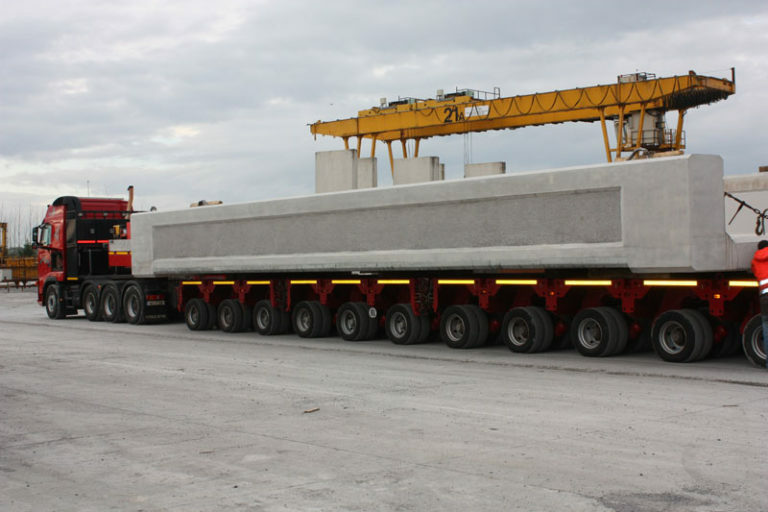 The precast elements were delivered to site and installed over one weekend rail possession.